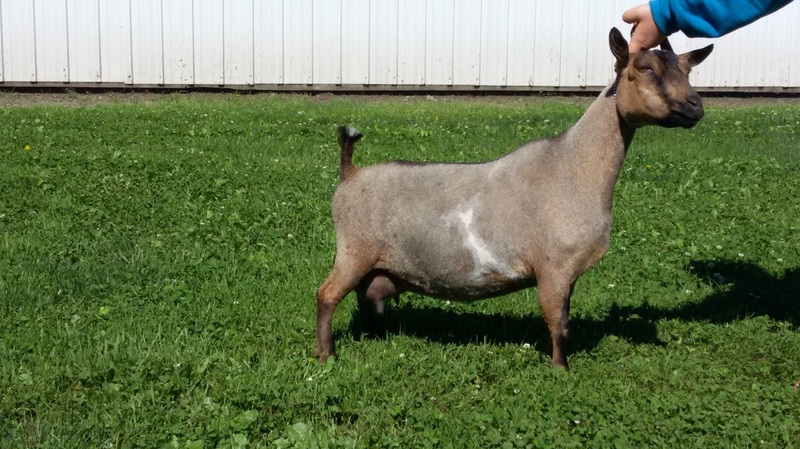 We purchased Izzy at the 2010 NDGA National show and we are thrilled with her. She has proved to be a great addition to the herd, placing in the top of her class in the show ring. She has a very strong level topline and shows spring of rib and good body capacity. She had a very successful show season in 2012 and took a break for most of the 2013 show season. We are hoping that 2014 will be her year. 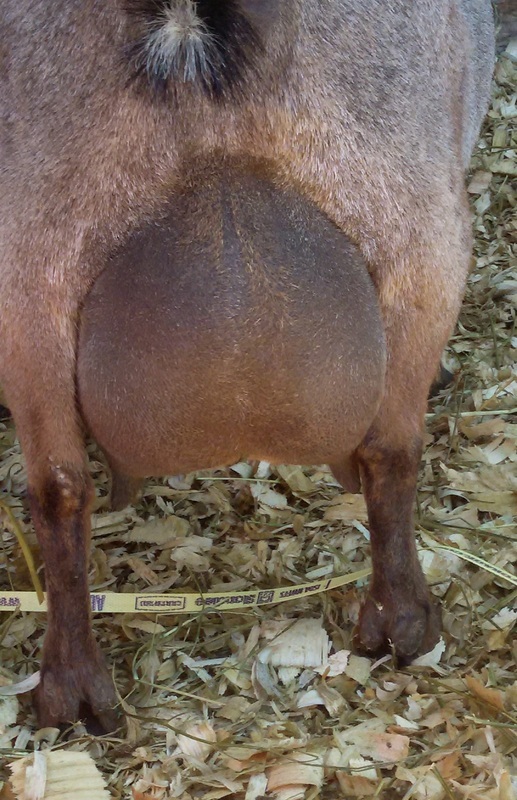 Super nice doe to milk giving several quarts a day while raising kids. Update: Izzy kidded twins 1/18/19 a doe and buck. Both available. This will be Izzy's last kidding.